Ten years ago, if I’d told my friends I was going birding, they’d probably ask me if I was crazy. 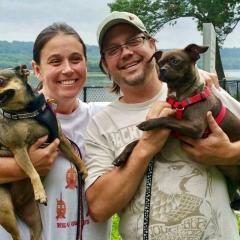 Then I met my wife Christa–an avid birder–and my birding career began. After moving to Frederick 4 years ago and exploring the area, birding has become more of an obsession. 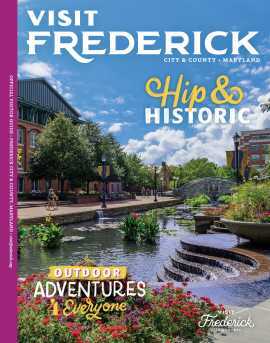 Birding can be done almost anywhere, but Frederick is a unique place where we have the Monocacy River, streams, ponds and old trees with plenty of good coverage–all of which are great environments for a diverse bird population. 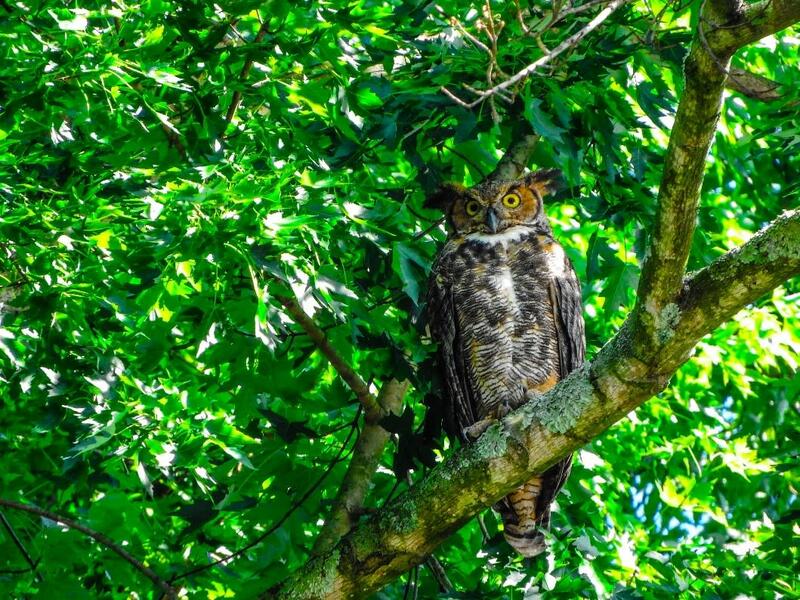 In this article, I’ll take you to my top 3 birding spots in Frederick County. 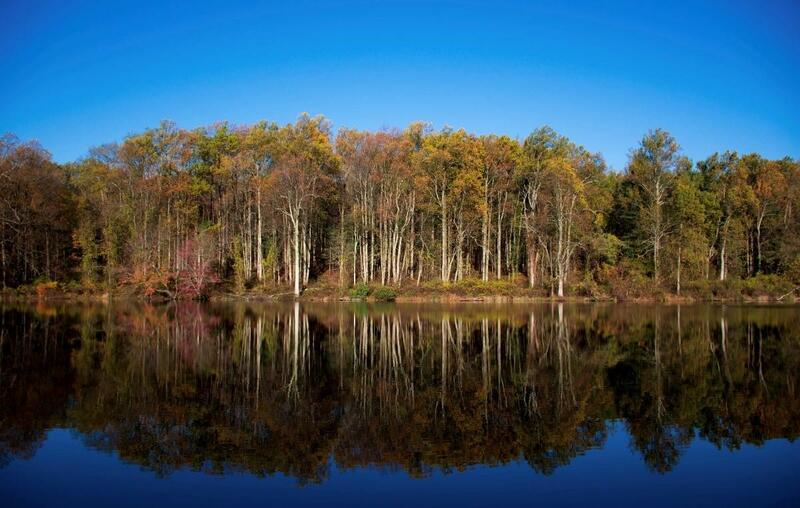 Rainbow Lake is a small body of water off Hampton Valley Road on the mountain above Emmitsburg. It is off the beaten path–peaceful and quiet–which makes it a great place for birding. I visited Rainbow Lake for the first time in the fall of 2015 to take advantage of the fall trout stocking, and arrived to a serene scene of fall foliage with blue sky that reflected on the lake. As I was fishing, I spotted a bald eagle circle above the lake and fly into a tree. 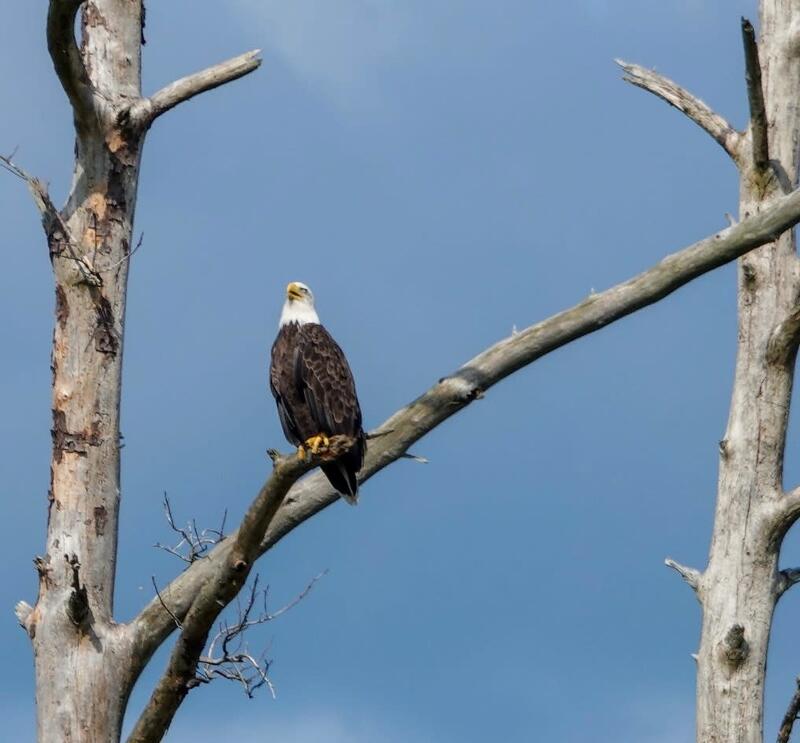 My focus quickly shifted to the eagle; as I was determined to take in all of its beauty (and get a picture). From that moment, I knew it was a special place that I needed to add to my rotation. If you’re not into fishing, there are several hiking trails that go around the lake and into the woods where you can really explore what Rainbow Lake has to offer. Please use caution during hunting season. 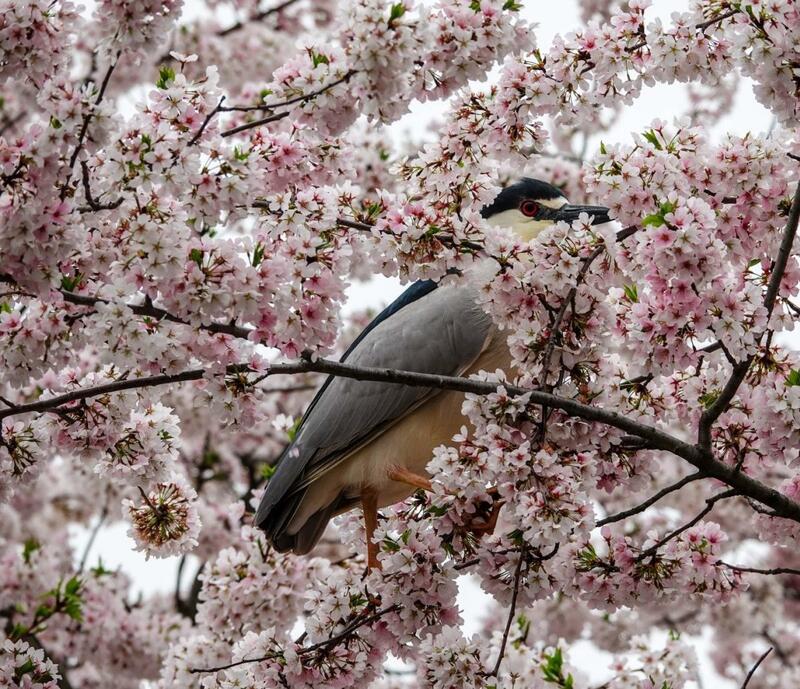 Everyone in Frederick knows that Baker Park is an excellent spot for recreational activities, but not everyone knows about the Black Crowned Night Herons that have been nesting in a row of pine trees at the southern end of Culler Lake for years. 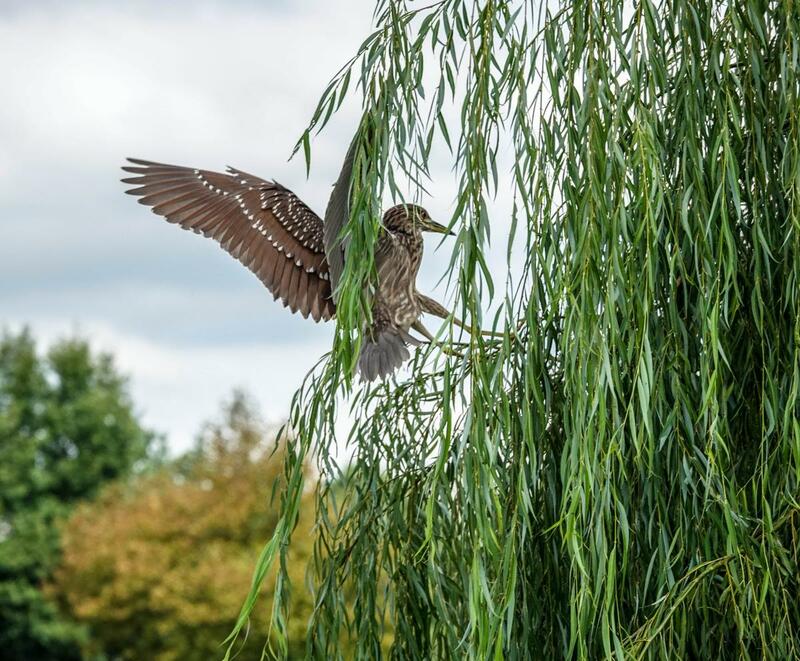 They have reached celebrity status in Baker Park–yet I see so many people walking around the lake that have no idea what beauty lies behind those green pines! Last August, I was able to catch the last of the fledgling juveniles as they were attempting their first flight. As they squawked in the trees sounding like people laughing at jokes, folks gathered around to see what all the fuss was about. But of course some knew exactly what it was. The best time to see them is from early March (they have recently arrived) to October after the juveniles flee the nest, and then they will head south for the winter. You will be able to see them with the naked eye as the trees are only about twenty to thirty feet tall, but for best results I recommend a good pair of binoculars or a good zoom-lens camera. Follow me on Instagram and Facebook as I will study their behavior and provide updates from now until they flee. I saved the best for last, as it is closest to my home and my favorite place to disappear in the woods for a few hours. The trailhead can be found at the Riverside Park boat ramp on Monocacy Blvd, and the trail runs along the Monocacy River following all of its curves, and ending at Castle Rock Road in the Dearbought neighborhood. I hike the trail year-round for a variety of different birds, but what I’m usually after are the plentiful Great Horned and Barred Owls. The best time of year for owling is during the late fall (after the leaves are gone) through winter and early spring when it starts to warm up. 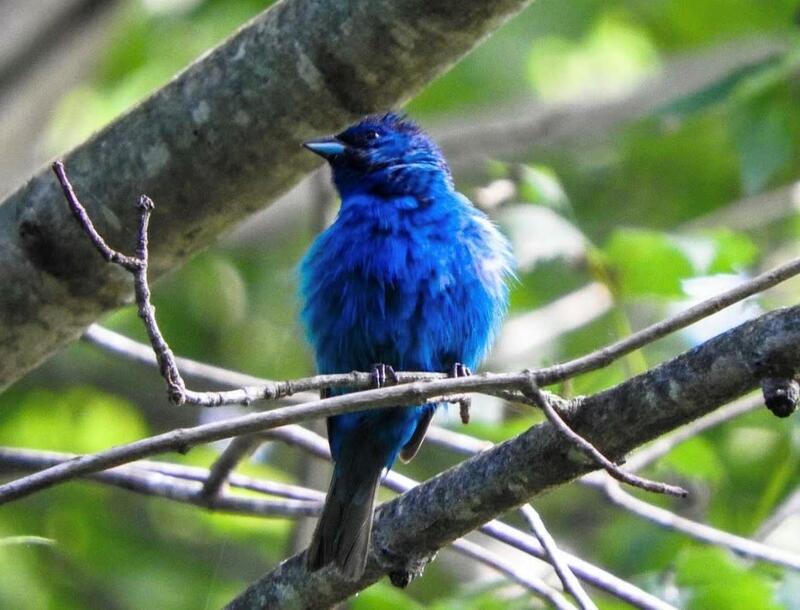 Over the summer of 2018, I also saw my first ever Indigo Bunting here. My wife and I also had our first Cedar Waxwing sighting here while fishing - a flock of them landed in a tree across the river from our fishing spot! On a warm Saturday in late January of 2019, I had a good feeling, so I set out on the muddy trail. 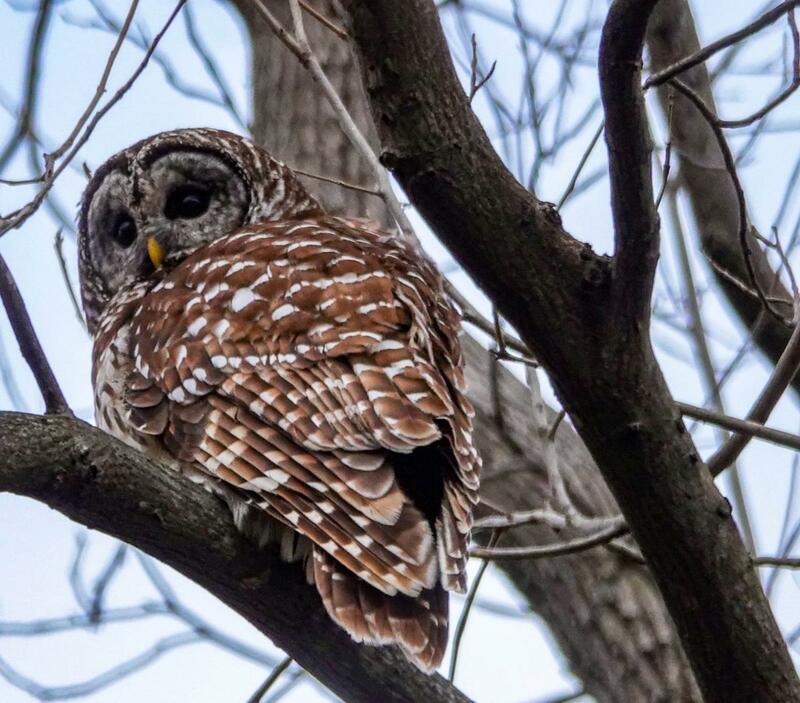 I almost turned back, but persistence paid off as I spotted a Barred Owl just before reaching the trail’s end. 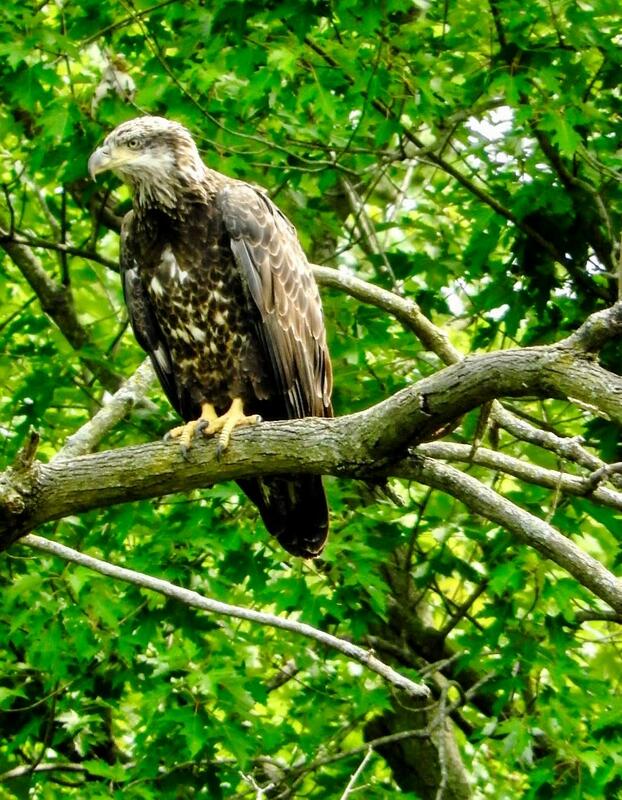 The Monocacy River Trail is really a magical place to spend a morning or afternoon watching for birds, and you never know what you’re going to see, as it’s different every time. All three of these locations are ideal for birding, and depending on the time of year you will see many different species - including Bald Eagles, Great Blue Herons, Black Crowned Night Cap Herons, Great Egrets, Owls, Eastern Bluebirds, Belted Kingfishers, Eastern Kingbirds, Dark Eyed Juncos, and a great assortment of Woodpeckers. The Audubon Bird Field Guide app, available for iPhone and Android, is a great free app for bird identification. Happy Birding, and don’t forget your binoculars!